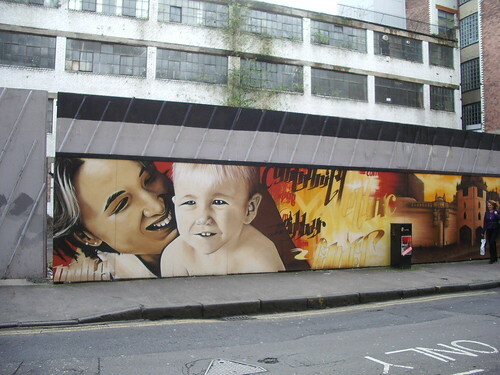 On the March 1st theme day I posted a bit of a large mural in Merchant City which surrounds a building site. This is another bit of the same mural. 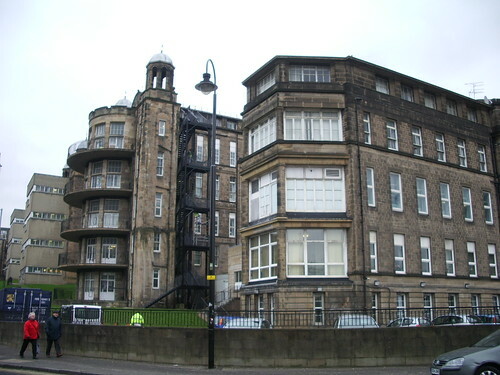 This austere looking place is the Victoria Infirmary, one of Glasgow’s big hospitals. I must say it doesn’t look like the most therapeutic place from the outside! Over the road they are now building a shiny modern new infirmary, with private financing. Just down Renfrew Street from the Evening Times building is the Cineworld multiplex cinema, with Aussie theme bar Walkabout on the ground floor. 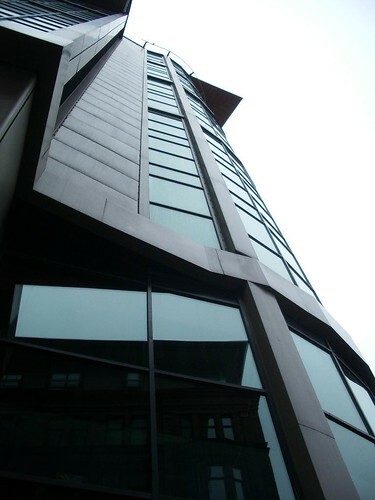 It’s not the most amazing building or anything, but I quite liked it from this angle. The Tall Ship is a restored Clyde-built bulk cargo carrier called the Glenlee which first took to the sea in 1896 and circumnavigated the globe four times. She was bought by the Spanish navy in the 1920s and used as a sail training vessel, but ended up lying forgotten in Seville harbour until a British naval architect discovered her in 1990. 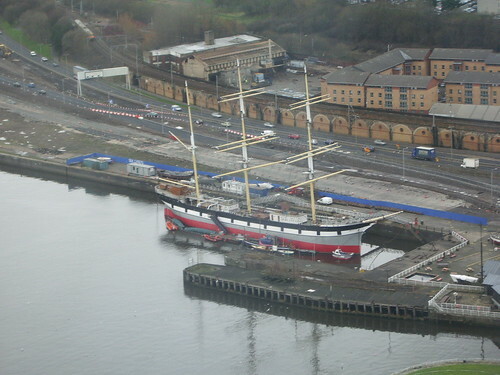 Two years later the Glenlee was bought at auction and returned to the Clyde, where she was restored and now functions as a museum. There is more information and pictures on the official website here. This view is taken from the top of the Glasgow Tower, which is on the opposite bank of the Clyde. I’ve not shown a Squinty Bridge shot for a while – this is an old one, so before the iron railing fell down. Work is now under way to repair or replace them, so as far as I know the bridge isn’t currently open to traffic. 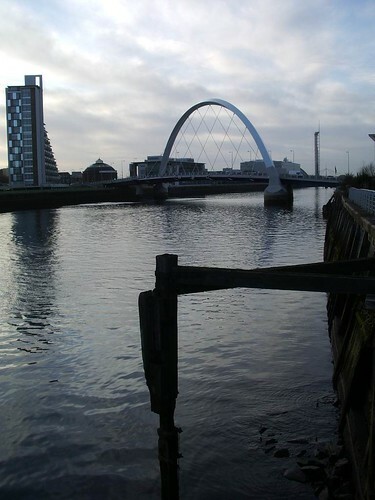 This view is from the north bank of the Clyde, looking away from the city centre. Just to the right of the bridge you can see the Glasgow Tower and its reflection. 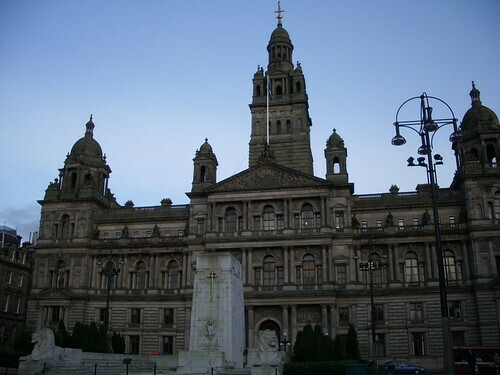 I’ve shown views of the City Chambers before (a closeup of the middle tower, and of one of the lions, and a night shot), but this is a view of the whole of the front of the building, with the war memorial in front. I still haven’t managed to get round to going on a tour of the inside though – must do that sometime. 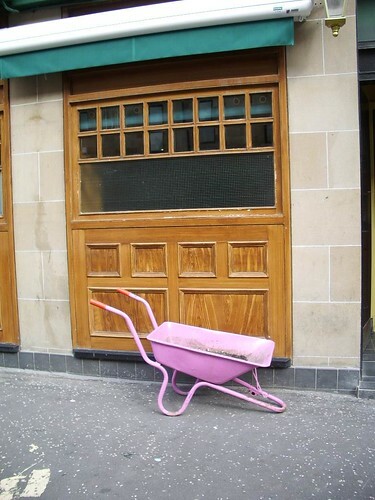 An old picture for a bit of colour – I saw this pink wheelbarrow outside the pub next to the Govanhill Glade garden that I’ve featured here before. I’m not sure what use a wheelbarrow without a wheel is, but it is kind of cute! 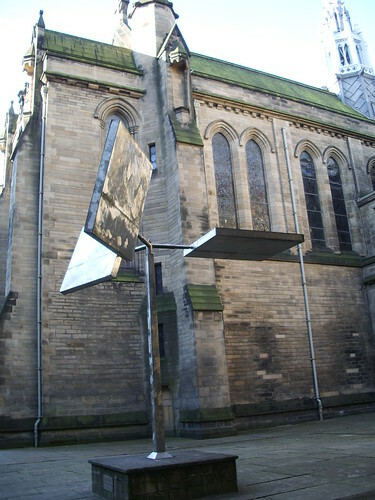 This is a moving sculpture which can be found in one of the quadrangles of Glasgow University’s Main Building. As the wind catches it the three metal squares move round and up and down. It’s kind of hypnotic, and a bit eerie as well – I like it, but I’m not sure I’d want it outside my office window, I’d spend hours staring at the movement and not doing any work! 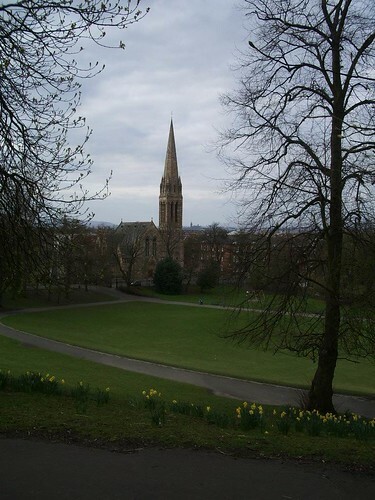 This is the view from Queen’s Park looking towards Queen’s Park Baptist Church. I’m so happy the daffodils are appearing again – I think spring really is on the way! Night View from Queen’s Park. I hadn’t realised how colourful Glasgow’s lights were till I took this picture last week. 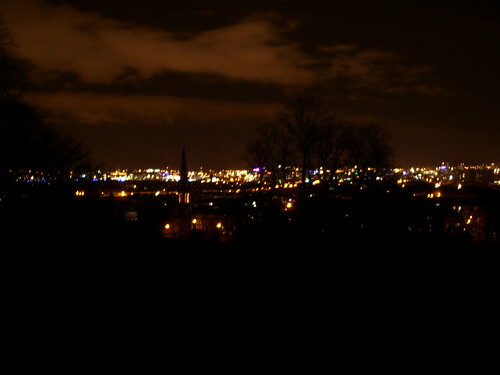 Posted in Uncategorized | Comments Off on Night View from Queen’s Park.